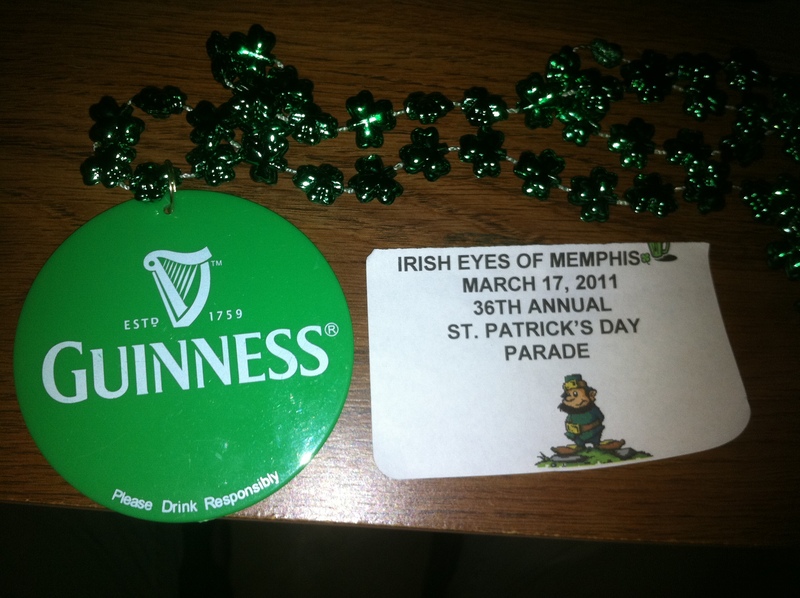 I already wrote about my St. Patrick’s Day on my other blog https://ontheroadwithu2.com/ because it had to do with U2, but I thought I would post it here as well since it has to do with Memphis too. 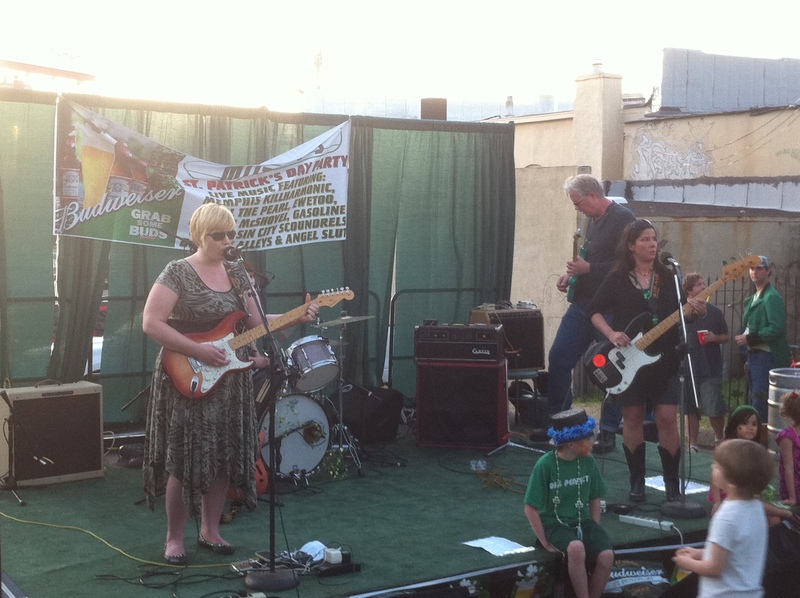 I had read there was going to be an all-girl U2 cover band, called EweToo, playing at Murphy’s in Memphis for St. Patrick’s Day so of course I had to check them out. Unfortunately, I couldn’t find anything about the band online and the bar’s website was no help either. I called Murphy’s to confirm that a U2 cover band was playing. 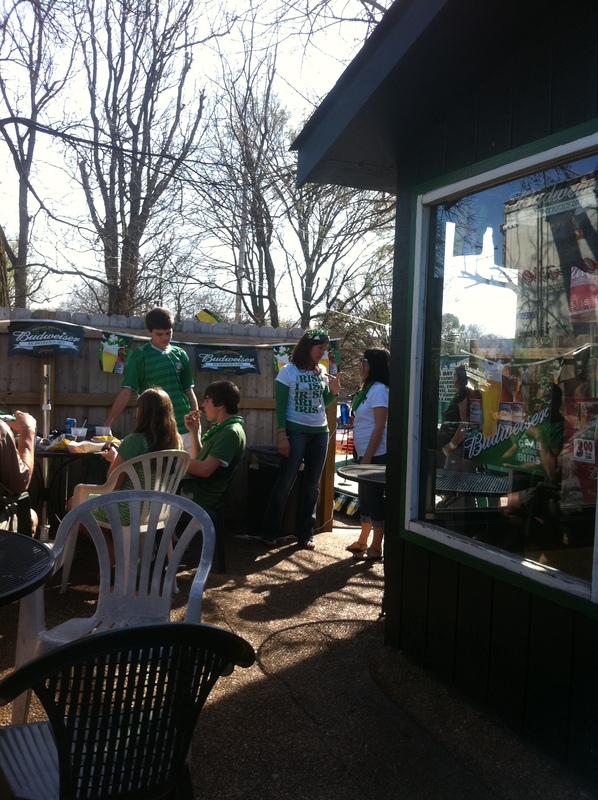 So shortly after 3pm, I put on my U2 360 I’ll Go Crazy tee and drove a mile down the road to Murphy’s bar. The bartenders did not know what time EweToo were playing, so I got a Guinness and found a seat on the deck in the shade and waited. I met a lot of great people, long time Memphians who all knew each other for years. Although I did get propositioned by a fortune teller to give her a ride to the pawn shop since she had made enough money that day to claim her item – I declined. But the other folks I met like Susan and Alan and Paul made up for it, and there were also a few dogs celebrating. I may have to bring Elvis and Cilla to Murphy’s next year. Around 6pm or a little after, and 3 Guinness later, EweToo finally took the stage. They weren’t an all girl band – there was a male guitarist, but I think he was just helping them out. And they weren’t really a U2 cover band. They used to be a band, but the lead singer moved away. They learned U2 songs to play specifically for St. Patrick’s Day. They were ok, but it was great fun to hear U2 live – in any form. They played Two Hearts, Sunday Bloody Sunday, New Year’s Day, Still Haven’t Found, I Will Follow, With or Without You, Pride and Desire. There were maybe 2 other U2 fans in the crowd, but mostly everyone was just singing the chorus and having fun. Please watch the video of my St. Patrick’s Day, including EweToo’s performance http://www.youtube.com/watch?v=uu-VW5fUgVg After listening to the video I took of EweToo, they sounded better when I was screaming the words along with them. 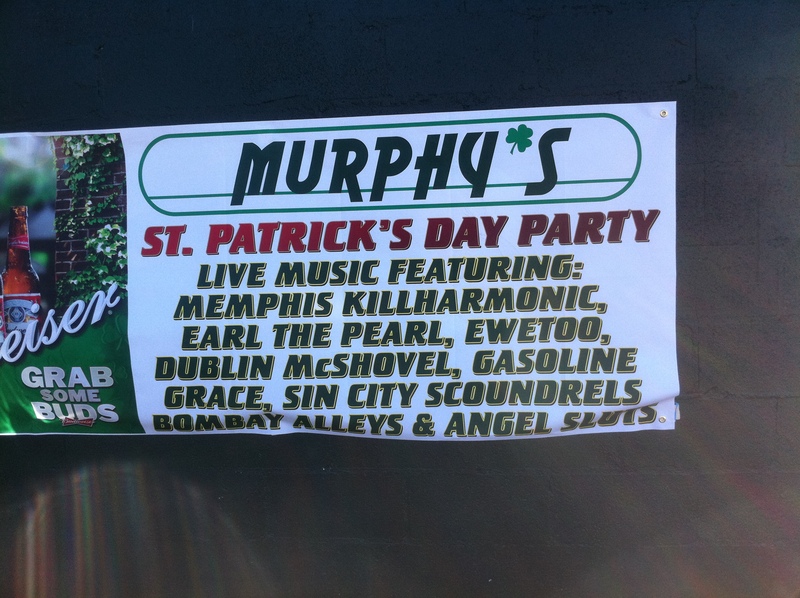 I had a great time at Murphy’s in Memphis for St. Patrick’s Day and will definitely return next year. In fact, I think I’ll check out their music schedule to see who is playing because it is such a great laid back non-college kind of hang out and only a mile from house. I had a great time!